It is no great surprise that Old Pulteney distillery takes inspiration from the sea, seeing as it resides on the rugged north coast of Scotland. In fact, Pulteneytown, the area of Wick from which the distillery takes its name, was a major player in the 19th century herring boom and harboured (ahem) a bustling harbour. 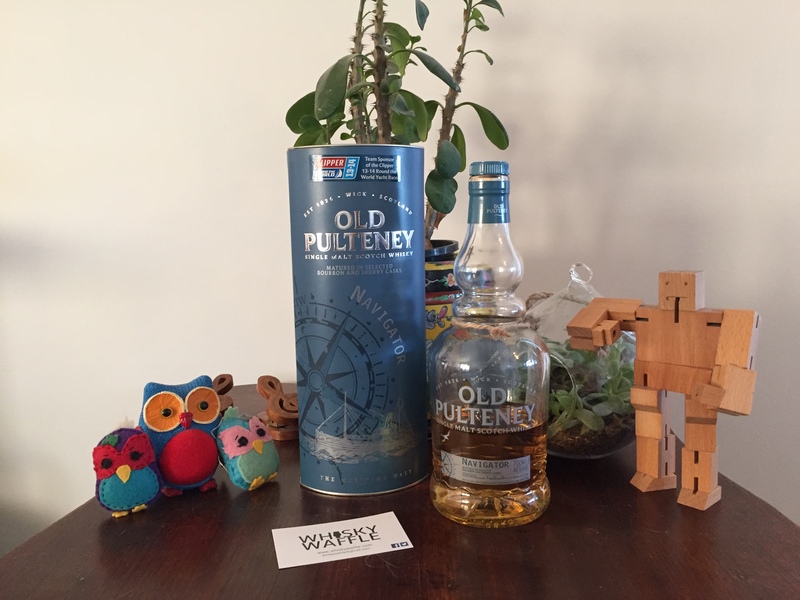 Old Pulteney isn’t just happy to let their love of the sea infuse their whisky, oh no. You know it’s a serious passion when you sponsor a vessel in the world’s longest round-the-world yacht race. The Clipper round-the-world race tests teams across a lazy 40000NM, demanding great effort from its participants. To celebrate its maiden voyage in the ’13-’14 race, the aptly named ‘Old Pulteney’ clipper carried a special cargo on board, the first barrel of a new limited edition NAS whisky named the ‘Navigator’, crafted from a marriage of younger aged bourbon and sherry casks. 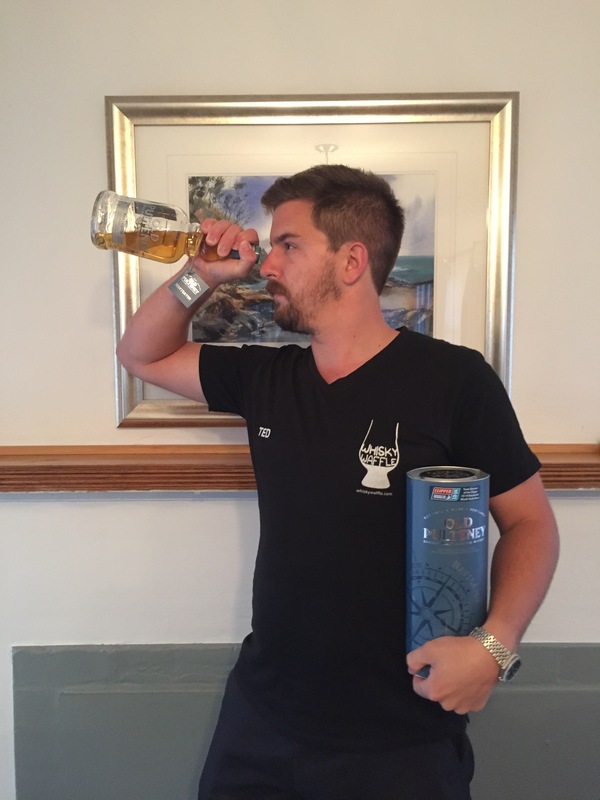 On the nose the Navigator tacks against bursts of chocolate and salted bacon before having its sails filled with malty biscuits, while oak decking creaks underneath. Sharp, salty waves break over the palate, prickling across the back of the tongue. A juicy citrus burst through the middle keeps away the scurvy, followed by a warm trade wind that soars down the throat. The Old Pulteney Navigator is a dram worthy of its nautical namesake. Its youth helps enhance its maritime nature, evoking the tempestuous seas that govern life along the north coast of Scotland. If you are a maritime whisky fan then the Navigator will definitely float your boat. The Navigator is the wild, ever-changing sea, whereas the 12yo is the calm, smooth safety of the harbour, welcoming the weary sailor home. Both have their own allure, but you don’t necessarily want to be tossed about in the old briny every day. Haven’t yet had the pleasure of this dram but heard good things… and now from you gents too! Let’s see if a little maritime snifter makes its way to me one of these years. Tonight instead have an odd mix of whiskies for the Bombay Cigar & Malt gents… with a surprise you would appreciate – Paul John Classic (as the Peated was demolished by the Whisky Ladies). Has a bit of ‘by the beach’ feel but full on sunny tropic style instead of cold Scottish waters! Sounds like an excellent time! I’ll tell you what, trying the Paul John Classic for the first time after an afternoon of scotches certainly blew our minds! And yes, hopefully one day a few random OPs float your way!